A most vital and sacred Hindu journey to attain the peace of mind and path of salvation, Chardham Yatra 2019 comprises four holy destinations that lie in the circuit of Indian Himalayas. 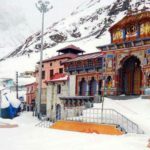 Having incredibility and contentment in each particle, Pilgrims Book their best Chardham Yatra Package 2019, these four holy destinations of Char Dham Yatra 2019 are situated in Garhwal region of Uttarakhand. 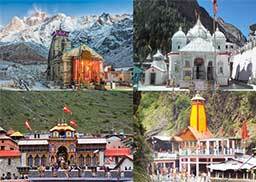 The four destinations that belong to Char Dham Yatra are:- Yamunotri, Gangotri, Kedarnath, and Badrinath. These sacred places behold such a beautiful and attractive charm that pilgrims want to have forever in their life. 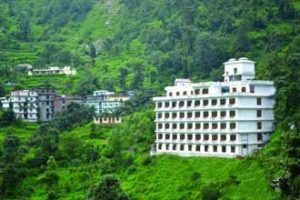 Yamunotri Dham– Ideally, Yamunotri is the first destination for the beginning of Char Dham Yatra 2019. The Yamunotri Temple marks its opening on the auspicious day of Akshaya Tritiya. Gangotri Dham– Gangotri, dedicated to the Goddess Ganga, is said to be the heart of Uttarkashi District of Uttarakhand region. The Gangotri Temple also marks its opening on the auspicious day of Akshaya Tritiya. Kedarnath Dham– Covered with snow clad mountains, Kedarnath allures the pilgrims who come to seek the blessings of Lord Shiva. Generally, the opening of Kedarnath is announced on the auspicious day of Shiv Ratri. Badrinath Dham– Dedicated to the Lord Vishnu, visiting this temple is considered as an indispensable shrine yatra among Hindus. Generally, the opening dates of Badrinath Temple is announced on the auspicious day of Basant Panchami. Ideally, the Char Dham Route is undertaken from west to east direction. The ideal route of Char Dham Yatra starts from visiting Haridwar. From Haridwar, the journey proceeds to the Rishikesh and from there to Deo Prayag, Tehri and Dharasu. From Dharasu, the route continues towards the Yamunotri Dham. Further, the journey proceeds towards Uttarkashi and then Gangotri Dham. From Gangotri, the Yatra continues towards the Gaurikund. Then the visitors arrive at Kedarnath Dham. 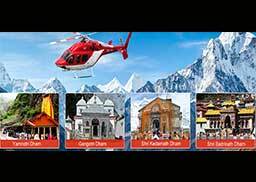 From there, the Yatra proceeds towards Joshimath and then finally at Badrinath Dham. 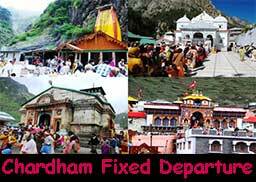 Spiritual belief and heritage wonders are the major reason that attracts the devotees to visit Char Dham. 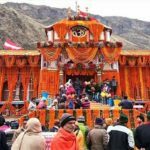 The Char Dham Yatra constitutes many cultural values that define its significance among Hindus and influence the pilgrims to plan this spiritual and sacred tour. A land of holy temples having plenty of beautiful sights, the tourists also come here to seek tranquillity and spirituality. Having experience of Char Dham Yatra once in a lifetime is considered as the path to attain salvation. It is the major belief among people that one can get rid of all shackles of the birth-rebirth cycle of life. This sacred journey opens the eyes of devotees that till now they were bounded by the material world. The people have a strong belief that the sins are washed away by completing the Char Dham Yatra. Talking about the beauty of Char Dhams, the natural environment itself attracts and influence the pilgrims to come and heal their soul. Before heading towards the shrine yatra, make sure you have taken proper treatment of your all physical problems. Don’t forget to carry on your prescribed medicines of general ailments. Carry woollen clothes with you as the weather is cold there. Have small packets of dry fruits with you to gain instant energy while trekking. It is advisable to drink only packaged and boiled water. Try to eat only that food which is boiled or properly cooked. A sunscreen cream and mosquito/insect repellent should be carried during these journeys. Avoid shortcut routes. Otherwise, it will be dangerous for life. Just as a candle needs fire to enlighten a place, one needs to gain spirituality of holy place of Char Dhams to enlighten their life. The great Hindu reformer Adi Shankaracharya has established these four temples in the 8th century which came to be known as Char Dhams. Yamunotri Temple– The Yamunotri temple is dedicated to the Goddess Yamuna who is the sister of Yama, the God of Death. It is the belief that the Yamunotri Dham showers its blessings on its pilgrims to have memorable and most precious moments while continuing their journey further to other places of Char Dham. 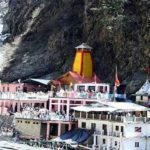 Gangotri Temple– Gangotri, dedicated to the Goddess Ganga, is said to be the heart of Uttarkashi District of Uttarakhand region. Having serenity and sanctity, one can feel the aura of blessings of Goddess Ganga. 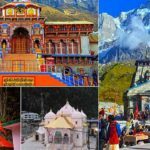 Kedarnath Temple– Undertaking this spiritual tour to Kedarnath Temple is of immense pleasure for all the devotees who come to seek the blessings of Lord Shiva. Kedarnath Dham attracts the tourists with its beauty and power of extreme devotion. Badrinath Temple– In the Chamoli District of Uttarakhand, there is another Dham lies which is known as Badrinath Temple. Dedicated to the Lord Vishnu, visiting this temple is considered as an indispensable shrine yatra among Hindus. 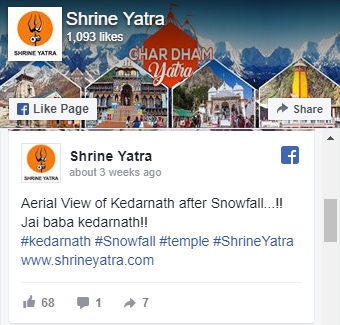 We have enjoyed and experienced an excellent Char Dham Yatra Trip arranged and managed by Shrine Yatra Team. Special Thanks to Shrine Yatra for their well managed Tour Package. We had a great time during the holy journey. Shrine Yatra team is very impressive in its professional way. Everything is perfectly arranged. Great experience while addressing any query. Quick and friendly service. 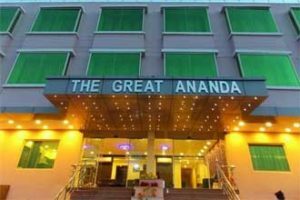 A good staff along with the best hospitality is all needed while any kind of trip. And that I got from Shrine Yatra. Shrine Yatra has made our Char Dham journey an unforgettable trip. Thank you for your good cooperation and management during the whole trip. Get Free Quotes From Char Dham Expert! 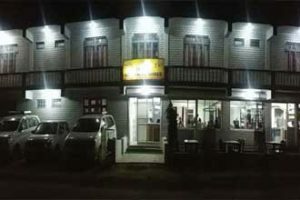 Char dahm india travel Guide with latest Char Dham Packages and Char Dham Online Hotel Bookings. Shrineyatra.com Organizes Budget, Deluxe and Luxury.